In the market for a new smartphone? The Google Pixel 3 is arguably one of the best phones of the past year. Sure, it may not offer the most modern design, but if you’re an Android fan, you’ll love the sleek and minimalistic stock Android, plus it boasts awesome artificial intelligence for things like the camera. Not only that but if you’re willing to buy refurbished, you can now get the phone for a super low price straight from Amazon. There are plenty of things that make the Google Pixel 3 a great phone. Perhaps the most important is the fact that under the hood, it’s a powerful device. It features the Qualcomm Snapdragon 845 processor, coupled with 4GB of RAM and options for either 64GB or 128GB of storage. It’s not the most powerful phone on the market, but it’s more than capable of handling most day-to-day tasks, even for power users who need a little extra oomph. Consistently, Google Pixel cameras are hailed for being high-quality for a smartphone. That is largely because Google Pixel cameras use artificial intelligence and machine learning to enhance colors, add background blur, and so on. In fact, unlike other flagship cameras, the Google Pixel series only has one rear-facing camera lens — though it’s still able to achieve many of the effects that can be found on devices with multiple lenses thanks to machine learning. The rear-facing camera sits in at 12.2 megapixels, while the front has two 8-megapixel lenses. 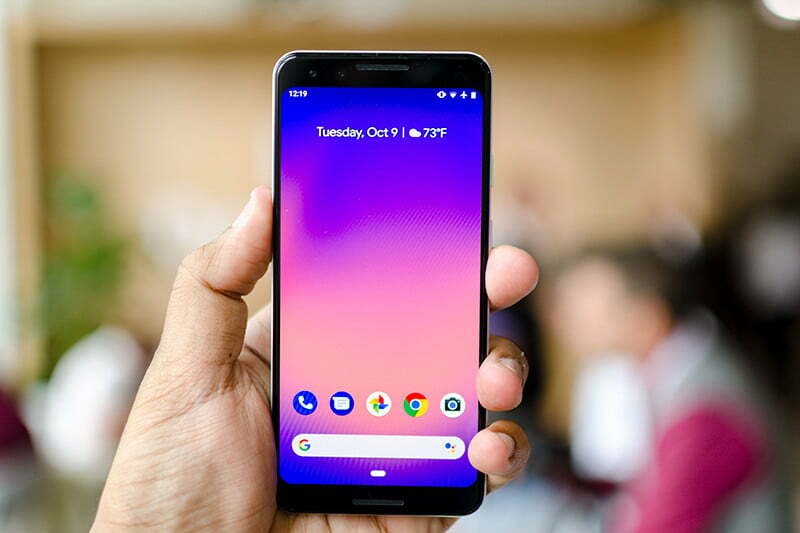 The Google Pixel 3 has a 5.5-inch display with a resolution of 2,160 x 1,080, and it looks pretty good. It’s not the 1,440p display that can be found on the Google Pixel 3 XL, but it still looks good, and most people will be perfectly happy with what the display has to offer. Because this model is refurbished, it’s being heavily discounted — making it one of the best deals out there for a flagship-level smartphone. It’s important to note that it’s not refurbished by Google itself, but it is an “Amazon Renewed” product, which means that it’s certified by Amazon, and has a minimum 90-day warranty. In other words, if you get the phone, and you’re not satisfied with the product, you can always return it. You can get the refurbished Google Pixel 3 for yourself here.